​Judy is the creator and original organizer of Project Backpack. She began the project as a local social service project of NA'AMAT USA (an international service organization) and made the first distribution of backpacks to a local police department in 1999. Under Judy's direction, the project quickly mushroomed and grew to become an independent entity. Judy brings a wealth of not-for-profit organizational experience to her leadership of Project Backpack. 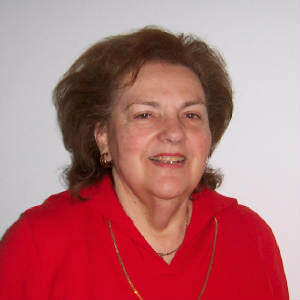 She has served as a member of the National and Midwest Boards of NA'AMAT USA and as President of its St. Louis Council. She continues to serve as a member of the NA'AMAT Board in St. Louis. 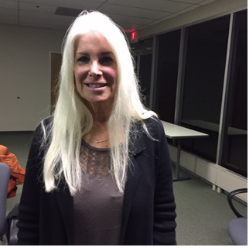 Judy has been involved with helping victims of domestic violence for more than a decade, starting with crisis training through ALIVE, Inc. (Alternatives to Living in Violent Environments). 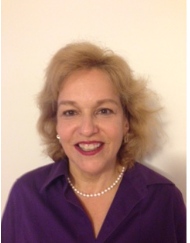 As a retired teacher at the H.F. Epstein Hebrew Academy, Judy has in-depth understanding of children and their needs. Judy received her BA from Washington University in St. Louis and her MA in Education from Webster University. Judy has assembled a team with both administrative experience and a strong commitment to social service. Dorothy brings financial management experience in the corporate world to her role as Project Backpack’s Treasurer. She is the co-founder and owner (with her husband Steve) of The Canon House Ltd., a media/corporate event production company that also markets and fulfills advertising specialty programs. Their clients have included Monsanto, Mallinkrodt, and Nestle Purina PetCare, among other international corporations. Dorothy manages all finances and Ad Specialty sales for Canon House, as well as supervising staff for logistics and fulfillment operations. 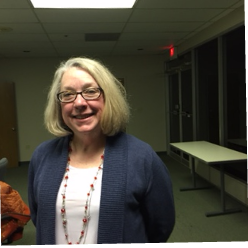 Dorothy’s long-term volunteer commitment to Project Backpack led her to volunteer her expertise to our Board. Lynn has devoted her professional career to youth development. She is retired from a career in school guidance counseling at Meramec Elementary and Co-Coordinator of counseling for the Clayton School District. In addition to Project Backpack, Lynn serves on the Board of Friends of Characterplus, which works to increase community awareness of the character education services provided by Cooperating School Districts of metro St. Louis. Lynn holds a Doctorate in Counseling/Educational Foundations from St. Louis University, where she also received her BA and ME degrees. A CPA with Brown, Smith, Wallace LLC, Earl is an experienced financial professional with more than 40 years of experience in public accounting. He holds a Bachelor's in Accounting from the University of Illinois and a Master's Degree in Commerce from St. Louis University. His professional accreditations include CPA/ABV/CFF and CVA. Earl is a past president of the Missouri Chapter of the National Association of Certified Valuation Analysts. For more than 10 years he was a member of the Accountancy Department faculty at UM-SL, where he taught managerial accounting. More recently he has been an adjunct professor of accounting at Webster University. Lynne is a recently retired federal court reporter where she had a career that lasted more than 30 years. Lynne served as mentor for quite a few court reporting students from Meramec through the years, including one who returned to the federal court as an employee after she'd finished her training. Lynne served as an Eighth Circuit representative for the United States Court Reporters Association for quite a few years. Lynne became acquainted with Project Backpack through the St. Louis Parrothead Club and soon became a frequent volunteer. She is also the avid traveler on the board - and somehow in spite of the luggage restrictions, usually manages to brings back some unique items for our fundraising auction. Lynne also keeps her hand in in the reporting world by taking the occasional deposition. Fran's professional career was devoted to the education of the primary age children. Prior to moving to St. Louis, and teaching in the Francis Howell District in St. Charles County, she participated in the Project Head Start Program in Michigan, taught in inner-city Detroit and upstate New York. Fran holds a BA from Western Michigan University and an MAT in Communication Arts from Webster University. She was active in promoting tourism in St. Louis in her position as a concierge at the St. Louis Airport Hilton, as a board member of the St. Louis Concierge Association, and as a board member of the visitor's publication, "Concierge Preferred." Fran became involved with Project Backpack in 2000 upon retiring and encouraged the Francis Howell Teachers to "adopt" Project Backpack as their community service project. Fran works in the Project Backpack Warehouse and is the event planner for the organization. Randi is a Clinical Psychologist in private practice and is on the Clinical Medical Staff of Barnes Jewish Hospital and Washington University Medical School. She is active on the Boards of several nonprofit agencies including Kids In The Middle, Kol Rinah, Jewish Student Union and Washington University Neighbor's Council. Randi has 2 adult children, Zachary and Addy Wexelman and two adult step children, Hannah and Josh Friedman. Melanie Lapidus is a native St. Louisan. She graduated from Washington University in St. Louis with an undergraduate degree in economics. She went on to study law and graduated from University of Pittsburgh School of Law. After law school, Melanie and her husband Jeff returned to St. Louis. Melanie practiced tax and employee benefits law, working first at Greensfelder, Hemker and then Peper, Martin. She then went on to work for Sisters of Mercy where she worked in the legal department and helped develop and incorporate Mercy Health Plans. Melanie then moved to BJC HealthCare, where she spent 20 years, working first in the legal department, and then serving as the Vice President of Managed Care. In that role Melanie was responsible for the overall strategy BJC adopted for negotiating and managing 6 Billion dollars in contracts with Health Plans including Anthem, Coventry, United, CIGNA and others. Melanie retired in the fall of 2016 and plans to devote her skills and significant time and to supporting and moving Project BackPack forward. Melanie and her husband Jeff have 2 grown daughters Erin and Jodi, of whom they are exceedingly proud! In her free time, Melanie likes to travel, hike and garden.